George Herbert Walker Bush, the son of Prescott Bush, a senator from Connecticut, was born in Milton, Massachusetts, on 12th June 1924. On his 18th birthday he enlisted in the armed forces, becoming the country's youngest commissioned pilot. During the Second World War he served on 58 missions from 1942 to 1945 and was awarded the Distinguished Flying Cross. After the war he studied economics at Yale University. In 1951 he established Bush-Overby Oil Development, an oil-drilling business in Texas. Later he joined forces with Thomas J. Devine, a former CIA officer, to create Zapata Oil. Other major investors included Prescott Bush and Bill Liedtke. In 1954, Zapata Off-Shore Company was formed as a subsidiary of Zapata Oil, with George H. W. Bush as president of the new company. According to Bush's autobiography, Eugene Meyer, the publisher of the Washington Post, and his son-in-law, Philip Graham, were major investors in the new company. Zapata Corporation split in 1959 into independent companies Zapata Petroleum and Zapata Off-Shore, headed by Bush, who moved his offices from Midland to Houston. In 1960, Bush created a new company, Perforaciones Marinas del Golfo (Permargo) with Edwin Pauley of Pan American Petroleum. Pauley is alleged to have had close ties to Allen Dulles. During the Second World War Pauley aided the Dulles brothers former clients in shifting Nazi assets out of Europe. In 1963, Zapata Petroleum merged with South Penn Oil and other companies to become Pennzoil. 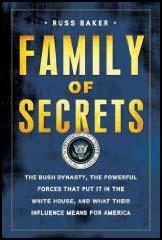 In his book Family of Secrets: The Bush Dynasty (2009) Russ Baker argues: "For Devine, who would have been about twenty-seven years old at the time, to resign at such a young age, so soon after the CIA had spent a great deal of time and money training him, was, at minimum, highly unusual. It would turn out, however, that Devine had a special relationship allowing him to come and go from the agency, enabling him to do other things without really leaving its employ." Thomas J. Devine later rejoined the CIA under non-official cover (NOC) status on 12th June 1963, as a covert commercial asset for Project WUBRINY/LPDICTUM. Joan Mellen points out that: "This CIA document reveals that Thomas Devine had informed George Bush of a CIA project with the cryptonym WUBRINY/LPDICTUM. It involved CIA proprietary commercial operations in foreign countries." Mellen goes onto argue that this links George Bush to George de Mohrenschildt and Lee Harvey Oswald. "WUBRINY involved Haitian operations, in which, the documents reveal, a participant was George de Mohrenschildt, the Dallas CIA handler of – Lee Oswald." Russ Baker interviewed Devine in 2008 and he refused to say whether he was involved with WUBRINY. However, another CIA officer, Gale Allen, confirmed in another interview that Devine did take part in the project. There is strong evidence that Bush was working for the CIA during this period. Bush also provided information to the Federal Bureau of Investigation on a proposed assassination attempt by James Parrott of John F. Kennedy. On 29th November, 1963, Bush informed J. Edgar Hoover about a conspiracy involving a group of pro-Castro Cubans in Miami. 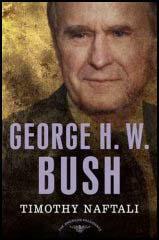 Bush became involved in politics and was active in the Republican Party. He was elected to the Ninetieth Congress Congress. He was appointed to a series of high-level positions: Ambassador to the United Nations (1971-73), Chairman of the Republican National Committee (1973-74), Chief of the U. S. Liaison Office in the People's Republic of China (1974-76), and Director of the Central Intelligence Agency (1976-77). Bush was unsuccessfull in his attempts to obtain Republican nomination for President of the United States in 1980, but was elected Vice President of the United States on the Republican ticket with President Ronald Reagan. On 17th March, 1983, Bush had a secret meeting with Donald P. Gregg and Felix Rodriguez in the White House. As a result the National Security Council established a secret scheme to provide aid to the Contras in Nicaragua. Rodriguez agreed to run the Contra supply depot in El Salvador. In a memo written to Robert McFarlane, Gregg argued that the plan grew out of the experience of running "anti-Vietcong operations in Vietnam from 1970-1972". Gregg added that "Felix Rodriguez, who wrote the attached plan, both worked for me in Vietnam and carried out the actual operations outlined above." On 21st December, 1984, Bush had another meeting with Donald P. Gregg and Felix Rodriguez. This led to Gregg introducing Rodriguez to Oliver North. Later, Bush wrote a note to North where he thanked him for "your dedication and tireless work with the hostage thing and with Central America." In October, 1985, Congress agreed to vote 27 million dollars in non-lethal aid for the Contras in Nicaragua. However, members of the Ronald Reagan administration, including Bush, decided to use this money to provide weapons to the Contras and the Mujahideen in Afghanistan. Gene Wheaton was recruited to use National Air to transport these weapons. He agreed but began to have second thoughts when he discovered that Richard Secord was involved in the operation and in May 1986 Wheaton told William Casey, director of the CIA, about what he knew about this illegal operation. Casey refused to take any action, claiming that the agency or the government were not involved in what later became known as Irangate. Wheaton now took his story to Daniel Sheehan, a left-wing lawyer. Wheaton told him that Thomas G. Clines and Ted Shackley had been running a top-secret assassination unit since the early 1960s. According to Wheaton, it had begun with an assassination training program for Cuban exiles and the original target had been Fidel Castro. Wheaton also contacted Newt Royce and Mike Acoca, two journalists based in Washington. The first article on this scandal appeared in the San Francisco Examiner on 27th July, 1986. As a result of this story, Congressman Dante Facell wrote a letter to the Secretary of Defense, Casper Weinberger, asking him if it "true that foreign money, kickback money on programs, was being used to fund foreign covert operations." Two months later, Weinberger denied that the government knew about this illegal operation. On 5th October, 1986, a Sandinista patrol in Nicaragua shot down a C-123K cargo plane that was supplying the Contras. That night Felix Rodriguez made a telephone call to the office of George H. W. Bush. He told Bush aide, Samuel Watson, that the C-123k aircraft had gone missing. Eugene Hasenfus, an Air America veteran, survived the crash and told his captors that he thought the CIA was behind the operation. He also provided information that several Cuban-Americans running the operation in El Salvador. This resulted in journalists being able to identify Rafael Quintero, Luis Posada and Felix Rodriguez as the Cuban-Americans mentioned by Hasenfus. It gradually emerged that Thomas Clines, Oliver North, Edwin Wilson and Richard Secord were also involved in this conspiracy to provide arms to the Contras. Bush was eventually forced to admit that along with Donald P. Gregg he had met with Felix Rodriguez three times. However, he argued that he had not discussed Nicaragua with him. He also defended Gregg’s decision to deny these meetings with Rodriguez had taken place. According to Bush, Gregg had not lied, he merely “forgot” about these meetings. Bush’s story eventually became that Gregg was working on his own initiative and that he was unaware of his role in the Iran-Contra affair. A handwritten note from George Bush to Oliver North that thanked him for his “dedication and tireless work with the hostage thing with Central America” also became public. When asked about this note, Bush said “he didn’t recall why he sent it”. In an article in the Washington Post (11th October, 1986), the newspaper reported that George Bush and Donald P. Gregg were linked to Felix Rodriguez. It gradually emerged that Richard L. Armitage, William Casey, Thomas G. Clines, Oliver North, Edwin Wilson and Richard Secord were also involved in this conspiracy to provide arms to the Contras. On 12th December, 1986, Daniel Sheehan submitted to the court an affidavit detailing the Irangate scandal. He also claimed that Thomas G. Clines and Ted Shackley were running a private assassination program that had evolved from projects they ran while working for the CIA. Others named as being part of this assassination team included Rafael Quintero, Richard Secord, Felix Rodriguez and Albert Hakim. It later emerged that Gene Wheaton and Carl E. Jenkins were the two main sources for this affidavit. Six days after the publication of Sheehan's affidavit, William Casey underwent an operation for a "brain tumor". As a result of the operation, Casey lost the power of speech and died, literally without ever talking. On 9th February, Robert McFarlane, another person involved in the Iran-Contra Scandal, took an overdose of drugs. In November, 1986, Ronald Reagan set-up a three man commission (President's Special Review Board). The three men were John Tower, Brent Scowcroft and Edmund Muskie. Richard L. Armitage was interviewed by the committee. He admitted that he had arranged a series of meetings between Menachem Meron, the director general of Israel's Ministry of Defence, with Oliver North and Richard Secord. However, he denied that he discussed the replenishment of Israeli TOW missiles with Meron. Armitage also claimed that he first learned that Israel had shipped missiles to Iran in 1985 when he heard William Casey testify on 21st November, 1986 that the United States had replenished Israel's TOW missile stocks. According to Lawrence E. Walsh, who carried out the official investigation into the scandal (Iran-Contra: The Final Report), claims that Armitage did not tell the truth to the President's Special Review Board. "Significant evidence from a variety of sources shows that Armitage's knowledge predated Casey's testimony. For instance, a North notebook entry on November 18, 1986, documents a discussion with Armitage about Israel's 1985 arms shipments to Iran - three days before Armitage supposedly learned for the first time that such shipments has occurred." Walsh also adds that "classified evidence obtained from the Government of Israel... and evidence from North and Secord show that during the period Meron met with Armitage, Meron was discussing arms shipments to Iran and Israel's need for replenishment. Secord and North, on separate occasions, directed Meron to discuss these issues with Armitage." The report implicated Oliver North, John Poindexter, Casper Weinberger and several others but did not mention the role played by Bush. It also claimed that Ronald Reagan had no knowledge of what had been going on. The House Select Committee to Investigate Covert Arms Transactions with Iran was also established by Congress. The most important figure on the committee was the senior Republican member, Richard Cheney. As a result George Bush was totally exonerated when the report was published on 18th November, 1987. The report did state that Reagan's administration exhibited "secrecy, deception and disdain for the law." Oliver North and John Poindexter were indicted on multiple charges on 16th March, 1988. North, indicted on twelve counts, was found guilty by a jury of three minor counts. The convictions were vacated on appeal on the grounds that North's Fifth Amendment rights may have been violated by the indirect use of his testimony to Congress which had been given under a grant of immunity. Poindexter was also convicted of lying to Congress, obstruction of justice, conspiracy, and altering and destroying documents pertinent to the investigation. His convictions were also overturned on appeal. In 1988 Bush was elected as the 41st President of the United States after defeating the representative of the Democratic Party, the Governor of Massachusetts, Michael Dukakis. A beneficiary of the reforms made by Mikhail Gorbachev that led to the end of the Cold War, Bush could concentrate on other regions of the world. This included the sending of American troops into Panama to overthrow the government of General Manuel Noriega. When George Bush became president he set about rewarding those who had helped him in the cover-up of the Iran-Contra Scandal. Bush nominated Robert Gates as Director of Central Intelligence on 14th May, 1991. Three of his colleagues in the CIA testified against Gates. Melvin Goodman, recently explained his reasons for taking this action: "Bob Gates, over the period of the 1980s, as a deputy for Intelligence and then as a deputy to CIA director Bill Casey, was politicizing intelligence. He was spinning intelligence on all of the major issues of the day, on the Soviet Union, on Central America, on the Middle East, on Southwest Asia. And I thought this record, this charge, should be presented before the Senate Intelligence Committee." In an article published in July, 1991, Walter Pincus called for the Senate to approve Bush's nomination of Gates as director of the CIA. This time he was confirmed but he attracted 31 negative votes, more than all of the votes against all of the CIA directors in history. He served until 1993. In 1992, Walter Pincus falsely claimed that "special prosecutors have told former Defense Secretary Caspar W. Weinberger that he might face indictment on felony charges in the Iran-Contra scandal, unless he provided them with evidence they believe he has against former President Reagan... The dramatic attempt to get a former cabinet officer to turn on his commander-in-chief occurred a few days ago as Independent Counsel Lawrence E. Walsh tried to conclude his five and one-half year investigation of the affair." A few days later Pincus wrote that Lawrence E. Walsh was considering indicting Ronald Reagan. This was again untrue and Walsh argues in his book, Firewall, that Bush was using Pincus to spread disinformation on the investigation. As Walsh pointed out: "Of all the sideswipes that we suffered during this period, the false report that we were considering indicting the nation's still-admired former president hurt us the most." Walsh was attacked by the right-wing media of carrying out the "biggest witch hunt in America since Salem". The leader of the Republican Party in the Senate, Bob Dole, made a speech where he called on Walsh to close down the investigation. He criticized Walsh's "inability to understand the simple fact that it is time to leave Iran-Contra to the history books". Others involved in the cover-up of the Iran-Contra Scandal who was rewarded included: Richard L. Armitage as a negotiator and mediator in the Middle East. Donald P. Gregg was appointed as his ambassador to South Korea. Brent Scowcroft became his chief national security adviser and John Tower became Secretary of Defence. When the Senate refused to confirm Tower, Bush gave the job to Richard Cheney. Later, Casper Weinberger, Robert McFarlane, Duane R. Clarridge, Clair E. George, Elliott Abrams and Alan D. Fiers, Jr., who had all been charged with offences related to the Iran-Contra scandal, were pardoned by Bush. On 2nd August 1990 Saddam Hussein ordered an invasion of Kuwait. The United Nations immediately impose economic sanctions on Iraq and demanded an immediate withdrawal from Kuwait. In January 1991 a United States led coalition of 32 countries launch an attack on Iraq. Operation Desert Storm is a great success and after Iraq left Kuwait Bush was able to declare a cease-fire on 28th February. In April 1991 Hussein agreed to accept the UN resolution calling on him to destroy weapons of mass destruction. He was also forced to allow UN inspectors into his country to monitor the disarmament. A no-fly zone was established in Northern Iraq to protect the Kurds from Saddam Hussein. The following year a no-fly zone was also created to protect the Shiite population living near Kuwait and Iran. At their fourth summit conference, Bush reached agreement with Mikhail Gorbachev on nuclear weapons and in July, 1991, they signed the Strategic Arms Reduction Treaty (START). Despite these foreign successes Bush was unable to deal with the country's faltering economy. His campaign pledge, no new taxes made it impossible to balance the budget and in 1992 was defeated by his Democratic Party challenger, Bill Clinton. On November 22, 1963, Mr. GEORGE H. W. BUSH, 5525 Briar, Houston, Texas, telephonically advised that he wanted to relate some hearsay that he had heard in recent weeks, date and source unknown. He advised that one JAMES PARROTT, has been talking of killing the President when he came to Houston. PARROTT is possibly a student at the University of Houston and is active in politics in the Houston, Texas. The substance of the information was orally furnished by George Bush of the Central Intelligence Agency. In the documentary video, JFK: The End Of Camelot, Jack Valenti, a public relations consultant who was traveling with Kennedy, stated that Kennedy had on November 21, 1963, visited San Antonio (which is where Barry Goldwater received his grandiose welcome on October 11, 1963) and then, also on November 21, 1963, President Kennedy went to Houston. According to Mr. Valenti, the Houston event went swimmingly; several hundred thousand people on the sidewalks, not a hostile face to be found. The video even shows Kennedy working the crowd, shaking hands with several of the people as he walked along the multitude of admirers who were reaching out to touch him. On November 22, 1963, an official document showed that there had been a threat in Houston, but since the information was a day late and the Houston event went swimmingly, security precautions, in retrospect, would most definitely have been needless. All they had to do is check their records to find a suitably threatening person, like James Parrott, who stated in 1961 he would kill President Kennedy if he got near him, then have George Herbert Walker Bush, who would become the 41st President of the United States, furnish information to the effect that James Parrott has been talking of killing the President when he comes to Houston, and then, after making sure that Houston went swimmingly, have the threat officially documented on November 22, 1963, which may have very well been the day that George Bush actually supplied the information. President Kennedy and the security people would then discount the possibility of a threat in Dallas as the President reaped another harvest of admiration from another throng of ardent admirers who were lining the city streets. According to a Secret Service memo dated 11/22/63 from SA Graham W. Kitchel to the Houston office, Bush called Dallas to report Parrott's alleged threat at 1:45 pm that day, over an hour after the assassination. The reported threat therefore had no effect on security in Dallas, as Bush's call came after the fact. There are several things about the document (source 2 above) that interest me and I would like to verify its provenance - which is why I needed the NARA document number. I'm also curious if Berenice has a separate source or took it from your site, that could help locate it at NARA and see if there are any other related memos such as a reply from State to Hoover. Some of the things that interest me are the fact that Hoover seems to be writing the memo to the State Dept in regard to some advice from the State Department to the FBI's Cuban Affairs coordinator in Miami - I'd like to know more about the FBI having a Cuban Affairs Coordinator in Miami as that is new to me. Also, after reading hundreds of FBI reports which shield the identify of their "sources and informants" with numbers such as T-3 etc I'm sort of interested in Hoover's disclosure to the State department of names and details of FBI sources within other agencies - especially the fact that these are supposedly employees of CIA nd DIA. It just seems atypical of Hoover who was not normally free with information - it's also sort of strange to have a CIA employee volunteering information to the FBI rather than passing it through his own agency - plus giving his actual name since normally CIA folks even use crypts in internal communications other than personnal matters, expecially field agents/case officers. If you could share the source of the document or if you have a NARA cover sheet for it I'd certainly appreciate seeing it. On December 11, Colonel King wrote a confidential memorandum to the head of the CIA which affirmed that in Cuba there existed a "far-left dictatorship, which if allowed to remain will encourage similar actions against U.S. holdings in other Latin American countries." King recommended various actions to solve the Cuban problem, one of which was to consider the elimination of Fidel Castro. He affirmed that none of the other Cuban leaders "have the same mesmeric appeal to the masses. Many informed people believe that the disappearance of Fidel would greatly accelerate the fall of the present government." CIA Director Alien Dulles passed on King's memorandum to the NSC a few days later, and it approved the suggestion to form a working group in the Agency which, within a short period of time, could come up with "alternative solutions to the Cuban problem." Thus "Operation 40" was born, taking its name from that of the Special Group formed by the NSC to follow the Cuban case. The group was presided over by Richard Nixon and included Admiral Arleigh Burke, Livingston Merchant of the State Department, National Security Adviser Gordon Gray, and Alien Dulles of the CIA. Tracy Bames functioned as head of the Cuban Task Force. He called a meeting on January 18,1960, in his office in Quarters Eyes, near the Lincoln Memorial in Washington, which the navy had lent while new buildings were being constructed in Langley. Those who gathered there included the eccentric Howard Hunt, future head of the Watergate team and a writer of crime novels; the egocentric Frank Bender, a friend of Trujillo; Jack Esterline, who had come straight from Venezuela where he directed a CIA group; psychological warfare expert David A. Phillips, and others. Elliott Abrams - Pleaded guilty October 7, 1991, to two misdemeanor charges of withholding information from Congress about secret government efforts to support the Nicaraguan contra rebels during a ban on such aid. U.S. District Chief Judge Aubrey E. Robinson, Jr., sentenced Abrams November 15, 1991, to two years probation and 100 hours community service. Abrams was pardoned December 24, 1992. Carl R. Channell - Pleaded guilty April 29, 1987, to one felony count of conspiracy to defraud the United States. U.S. District Judge Stanley S. Harris sentenced Channell on July 7, 1989, to two years probation. Thomas G. Clines - Indicted February 22, 1990, on four felony counts of underreporting his earnings to the IRS in the 1985 and 1986 tax years; and falsely stating on his 1985 and 1986 tax returns that he had no foreign financial accounts. On September 18, 1990, Clines was found guilty of all charges. U.S. District Judge Norman P. Ramsey in Baltimore, Md., on December 13, 1990, sentenced Clines to 16 months in prison and $40,000 in fines. He was ordered to pay the cost of the prosecution. The Fourth Circuit U.S. Court of Appeals in Richmond, Va., on February 27, 1992, upheld the convictions. Clines served his prison sentence. Alan D. Fiers, Jr. - Pleaded guilty July 9, 1991, to two misdemeanor counts of withholding information from Congress about secret efforts to aid the Nicaraguan contras. U.S. District Chief Judge Aubrey E. Robinson, Jr., sentenced Fiers January 31, 1992, to one year probation and 100 hours community service. Fiers was pardoned December 24, 1992. Clair E. George - Indicted September 6, 1991, on 10 counts of perjury, false statements and obstruction in connection with congressional and Grand Jury investigations. George's trial on nine counts ended in a mistrial on August 26, 1992. Following a second trial on seven counts, George was found guilty December 9, 1992, of two felony charges of false statements and perjury before Congress. The maximum penalty for each count was five years in prison and $250,000 in fines. U.S. District Judge Royce C. Lamberth set sentencing for February 18, 1993. George was pardoned on December 24, 1992, before sentencing occurred. Albert Hakim - Pleaded guilty November 21, 1989, to a misdemeanor of supplementing the salary of Oliver L. North. Lake Resources Inc., in which Hakim was the principal shareholder, pleaded guilty to a corporate felony of theft of government property in diverting Iran arms sales proceeds to the Nicaraguan contras and other activities. Hakim was sentenced by U.S. District Judge Gerhard A. Gesell on February 1, 1990, to two years probation and a $5,000 fine; Lake Resources was ordered dissolved. Robert C. McFarlane - Pleaded guilty March 11, 1988, to four misdemeanor counts of withholding information from Congress. U.S. District Chief Judge Aubrey E. Robinson, Jr., sentenced McFarlane on March 3, 1989, to two years probation, $20,000 in fines and 200 hours community service. McFarlane was pardoned December 24, 1992. Richard R. Miller - Pleaded guilty May 6, 1987, to one felony count of conspiracy to defraud the United States. U.S. District Judge Stanley S. Harris sentenced Miller on July 6, 1989, to two years probation and 120 hours of community service. Oliver L. North - Indicted March 16, 1988, on 16 felony counts. After standing trial on 12, North was convicted May 4, 1989 of three charges: accepting an illegal gratuity, aiding and abetting in the obstruction of a congressional inquiry, and destruction of documents. He was sentenced by U.S. District Judge Gerhard A. Gesell on July 5, 1989, to a three-year suspended prison term, two years probation, $150,000 in fines and 1,200 hours community service. A three-judge appeals panel on July 20, 1990, vacated North's conviction for further proceedings to determine whether his immunized testimony influenced witnesses in the trial. The Supreme Court declined to review the case. Judge Gesell dismissed the case September 16, 1991, after hearings on the immunity issue, on the motion of Independent Counsel. John M. Poindexter - Indicted March 16, 1988, on seven felony charges. After standing trial on five charges, Poindexter was found guilty April 7, 1990, on all counts: conspiracy (obstruction of inquiries and proceedings, false statements, falsification, destruction and removal of documents); two counts of obstruction of Congress and two counts of false statements. U.S. District Judge Harold H. Greene sentenced Poindexter June 11, 1990, to six months in prison on each count, to be served concurrently. A three-judge appeals panel on November 15, 1991, reversed the convictions on the ground that Poindexter's immunized testimony may have influenced the trial testimony of witnesses. The Supreme Court on December 7, 1992, declined to review the case. In 1993, the indictment was dismissed on the motion of Independent Counsel. Richard V. Secord - Indicted March 16, 1988 on six felony charges. On May 11, 1989, a second indictment was issued charging nine counts of impeding and obstructing the Select Iran/contra Committees. Secord was scheduled to stand trial on 12 charges. He pleaded guilty November 8, 1989, to one felony count of false statements to Congress. Secord was sentenced by U.S. District Chief Judge Aubrey E. Robinson, Jr., on January 24, 1990, to two years probation. Duane R. Clarridge - Indicted November 26, 1991, on seven counts of perjury and false statements about a secret shipment of U.S. HAWK missiles to Iran. The maximum penalty for each count was five years in prison and $250,000 in fines. U.S. District Judge Harold H. Greene set a March 15, 1993, trial date. Clarridge was pardoned December 24, 1992. Caspar W. Weinberger - Indicted June 16, 1992, on five counts of obstruction, perjury and false statements in connection with congressional and Independent Counsel investigations of Iran/ contra. On September 29, the obstruction count was dismissed. On October 30, a second indictment was issued, charging one false statement count. The second indictment was dismissed December 11, leaving four counts remaining. The maximum penalty for each count was five years in prison and $250,000 in fines. U.S. District Judge Thomas F. Hogan set a January 5, 1993, trial date. Weinberger was pardoned December 24, 1992. Joseph F. Fernandez - Indicted June 20, 1988 on five counts of conspiracy to defraud the United States, obstructing the inquiry of the Tower Commission and making false statements to government agencies. The case was dismissed in the District of Columbia for venue reasons on the motion of Independent Counsel. A four-count indictment was issued in the Eastern District of Virginia on April 24, 1989. U.S. District Judge Claude M. Hilton dismissed the four-count case November 24, 1989, after Attorney General Richard Thornburgh blocked the disclosure of classified information ruled relevant to the defense. The U.S. Court of Appeals for the Fourth Circuit in Richmond, Va., on September 6, 1990, upheld Judge Hilton's rulings under the Classified Information Procedures Act (CIPA). On October 12, 1990, the Attorney General filed a final declaration that he would not disclose the classified information. Vice President George Bush's resume is his most highly touted asset as a candidate. But a recently discovered F.B.I. memorandum raises the possibility that, like many resumes, it omits some facts the applicant would rather not talk about: specifically, that he worked for the Central Intelligence Agency in 1963, more than a decade before he became its director. The F.B.I. memorandum, dated November 29, 1963, is from Director J. Edgar Hoover to the State Department and is subject-headed "Assassination of President John F. Kennedy November 22, 1963." In it, Hoover reports that the Bureau had briefed "Mr. George Bush of the Central Intelligence Agency" shortly after the assassination on the reaction of Cuban exiles in Miami. A source with close connections to the intelligence community confirms that Bush started working for the agency in 1960 or 1961, using his oil business as a cover for clandestine activities. 1. The abortive Bay of Pigs invasion of Cuba, launched on April 16-17, 1961, prepared with the assistance of the CIA's "Miami Station" (also known under the code name JM/WAVE). After the failure of the amphibious landings of Brigade 2506, Miami station, under the leadership of Theodore Shackley, became the focus for Operation Mongoose, a series of covert operations directed against Castro, Cuba, and possibly other targets. 2. 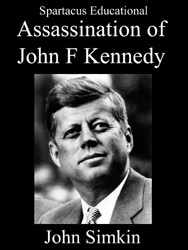 The assassination of President John F. Kennedy in Dallas on November 22, 1963, and the coverup of those responsible for this crime. 3. The Watergate scandal, beginning with an April, 1971 visit to Miami, Florida by E. Howard Hunt on the tenth anniversary of the Bay of Pigs invasion to recruit operatives for the White House Special Investigations Unit (the "Plumbers" and later Watergate burglars) from among Cuban-American Bay of Pigs veterans. 4. The Iran-contra affair, which became a public scandal during October-November 1986, several of whose central figures, such as Felix Rodriguez, were also veterans of the Bay of Pigs. A newly discovered FBI document reveals that George Bush was directly involved in the 1963 murder of President John Kennedy. The document places Bush working with the now-famous CIA agent, Felix Rodriguez, recruiting right-wing Cuban exiles for the invasion of Cuba. It was Bush's CIA job to organize the Cuban community in Miami for the invasion. The Cubans were trained as marksmen by the CIA. Bush at that time lived in Texas. Hopping from Houston to Miami weekly, Bush spent 1960 and '61 recruiting Cubans in Miami for the invasion. That is how he met Felix Rodriguez. You may remember Rodriguez as the Iran-contra CIA agent who received the first phone call telling the world the CIA plane flown by Gene Hasenfus had crashed in Nicaragua. As soon as Rodriguez heard that the plane crashed, he called his long-time CIA supervisor, George Bush. Bush denied being in the contra loop, but investigators recently obtained copies of Oliver North's diary, which documents Bush's role as a CIA supervisor of the contra supply network. In 1988 Bush told Congress he knew nothing about the illegal supply flights until 1987, yet North's diary shows Bush at the first planning meeting Aug. 6, 1985. Bush's "official" log placed him somewhere else. Such double sets of logs are intended to hide Bush's real role in the CIA; to provide him with "plausible deniability." The problem is, it fell apart because too many people, like North and Rodriguez, have kept records that show Bush's CIA role back to the 1961 invasion of Cuba. (Source: The Washington Post, 7/10/90). That is exactly how evidence was uncovered placing George Bush working with Felix Rodriguez when JFK was killed. A memo from FBI head J. Edgar Hoover was found, stating that, "Mr. George Bush of the CIA had been briefed on November 23rd, 1963 about the reaction of anti-Castro Cuban exiles in Miami to the assassination of President Kennedy. (Source: The Nation, 8/13/88). On the day of the assassination Bush was in Texas, but he denies knowing exactly where he was. Since he had been the supervisor for the secret Cuban teams, headed by former Cuban police commander Felix Rodriguez, since 1960, it is likely Bush was also in Dallas in 1963. Several of the Cubans he was supervising as dirty-tricks teams for Nixon, were photographed in the Zagruder film. In 1959 Rodriguez was a top cop in the Cuban government under Batista. When Batista was overthrown and fled to Miami, Rodriguez went with him, along with Frank Sturgis and Rafael Quintero. Officially, Rodriguez didn't join the CIA until 1967, after the CIA invasion of Cuba, in which he participated, and the assassination of JFK. But records recently uncovered show he actually joined the CIA in 1961 for the invasion of Cuba when he was recruited by George Bush. That is how Rodriguez claims he became a "close personal friend of Bush." Then "officially" Rodriguez claims he quit the CIA in 1976, just after he was sent to prison for his role in the Watergate burglary. However, according to Rolling Stone reporters Kohn & Monks (11/3/88), Rodriguez still goes to CIA headquarters monthly to receive assignments and have his blue 1987 bulletproof Cadillac serviced. Rodriguez was asked by a Rolling Stone reporter where he was the day JFK was shot, and claims he can't remember. George Bush claims he never worked for the CIA until he was appointed director by former Warren Commission director and then President Jerry Ford, in 1976. Logic suggests that is highly unlikely. Of course, Bush has a company duty to deny being in the CIA. The CIA is a secret organization. No one ever admits to being a member. The truth is that Bush has been a top CIA official since before the 1961 invasion of Cuba, working with Felix Rodriguez. Bush may deny his actual role in the CIA in 1959, but there are records in the files of Rodriguez and others involved in the Bay of Pigs invasion of Cuba that expose Bush's role. The corporations would not put somebody in charge of all the state secrets held by the CIA unless he was experienced and well trained in the CIA. (Source: Project Censored Report, Feb 1989, Dr Carl Jensen, Sonoma State College). Recently I interviewed former CIA liaison officer L. Fletcher Prouty. He is a consultant for the excellent new movie on how the CIA killed JFK, being made by Oliver Stone. He told me that one of the projects he did for the CIA was in 1961 to deliver US Navy ships from a Navy ship yard to the CIA agents in Guatemala planning the invasion of Cuba. He said he delivered three ships to a CIA agent named George Bush, who had the 3 ships painted to look like they were civilian ships. That CIA agent then named the 3 ships after: his wife, his home town and his oil company. He named the ships: Barbara, Houston & Zapata. Any book on the history of the Bay of Pigs will prove the names of those 3 ships. Again, this is more finger prints of George Bush's involvement in the Bay of Pigs invasion. Yet Bush denies his role in this great adventure. Why would Bush be so shy about his role in this war? What is the secret? Is there something dirty about this war that Bush & Nixon don't want the public to know about? Presently, there is a law suit attempting to force the government to release the records about the Bay of Pigs invasion. Why are those documents still secret? Why are they locked in the National Archives along with all the photos from [the] Dallas assassination of JFK? Why are the 4000 hours of Watergate tapes in which Nixon is babbling about the mysterious connections between the Bay of Pigs, Dallas and Watergate also being sealed in the National Archives? Is it because all three incidents are connected? Yes. We must demand the secret files on these 3 cases be released now. For a copy of the petition to release the files, please write to: Paul Kangas, private investigator, POB 422644, SF, CA 94142. Thanks to Oliver Stone's blockbuster new movie on JFK there is now sufficient national movement to reopen all these cases. The White House fears Stone's new movie so much that they have hired more CIA journalists to slander the movie & Stone. Don't fall for it. Every serious investigator now agrees that Oswald did not shoot JFK. That James Earl Ray did not shoot Dr. Martin Luther King and that Sirhan Sirhan did not shoot Robert Kennedy. These cases must be reopened so that Sirhan and Ray can be set free. The only bar that keeps Sirhan in prison is the tremendous anti-arab racism in Americans: in both blacks & whites. According to a biography of Richard Nixon, his close personal and political ties with the Bush family go back to 1941 when Nixon claims he read an ad in an L A. newspaper, placed by a wealthy group of businessmen, led by Prescot Bush, the father of George Bush. They wanted a young, malleable candidate to run for Congress. Nixon applied for the position and won the job. Nixon became a mouthpiece for the Bush group. (Source: Freedom Magazine, 1986, L.F. Prouty). In fact, Prescot Bush is credited with creating the winning ticket of Eisenhower-Nixon in 1952. (Source: George Bush, F. Green, Hipocrene, 1988). Newly discovered FBI documents prove that Jack Ruby has been an employee of Richard Nixon since 1947. That that [sic] FBI document Ruby is listed as working as a spy & hit man for Nixon. On Nov. 22, 63 Ruby was seen by a women who knew him well, Julian Ann Mercer, approximately an hour before the arrival of JFK's motorcade, unloading a man carrying a rifle in a case at the Grassy Knoll from his car. Ruby later was seen on national TV killing a witness who could link Nixon & Bush to the killing of JFK: Oswald. On the Trail of the Assassins, Garrison, p xiii. Richard Nixon was Vice President from 1952 until 1960. In fact, Nixon was given credit for planning Operation 40, the secret 1961 invasion of Cuba, during his 1959 campaign for President After Batista was kicked out by the starving people of Cuba, and Fidel Castro came to power, Castro began telling American corporations they would have to pay Cuban employees decent wages. Even worse, Pepsi Cola was told it would now have to pay world market prices for Cuban sugar. Pepsi, Ford Motor Co., Standard Oil and the Mafia drug dealers decided Fidel had to be removed since his policies of requiring corporations to pay market wages was hurting their profits. So the corporations asked then Vice-President Nixon to remove Fidel. Nixon promised he would, just as soon as he'd won the 1960 elections against some underdog, an unknown Democrat named John Kennedy. It would be an easy victory for Nixon. The polls had Nixon winning by a landslide. Besides, Kennedy was a Catholic, and Americans would no more elect a Catholic President than they would elect a woman, a black or a Jew. This was 1959. Nixon told Pepsi, Standard Oil and other corporations who lost property given back to the farmers of Cuba, that if they would help him win, he would authorize an invasion to remove Castro. To further impress contributors to his campaign, then Vice-President Nixon asked the CIA to create Operation 40, a secret plan to invade Cuba, just as soon as he won. The CIA put Texas millionaire and CIA agent George Bush in charge of recruiting Cuban exiles into the CIA's invasion army. Bush was working with another Texas oilman, Jack Crichton, to help him with the invasion. A fellow Texan, Air Force General Charles Cabel, was asked to coordinate the air cover for the invasion. Most of the CIA leadership around the invasion of Cuba seems to have been people from Texas. A whole Texan branch of the CIA is based in the oil business. If we trace Bush's background in the Texas oil business we discover his two partners in the oil-barge leasing business: Texan Robert Mosbacher and Texan James Baker. Mosbacher is now Secretary of Commerce and Baker is Secretary of State, the same job Dulles held when JFK was killed. (Source: Common Cause magazine, 3-4/90). On the Watergate tapes, June 23, 1972, referred to in the media as the "smoking gun" conversation, Nixon and his Chief of Staff, H.R. Haldeman, discussed how to stop the FBI investigation into the CIA Watergate burglary. They were worried that the investigation would expose their conection to "the Bay of Pigs thing." Haldeman, in his book The Ends of Power, reveals that Nixon always used code words when talking about the 1963 murder of JFK. Haldeman said Nixon would always refer to the assassination as "the Bay of Pigs." On that transcript we find Nixon discussing the role of George Bush's partner, Robert Mosbacher, as one of the Texas fundraisers for Nixon. On the tapes Nixon keeps refering to the "Cubans" and the "Texans." The "Texans" were Bush, Mosbacher and Baker. This is another direct link between Bush and evidence linking Nixon and Bush to the Kennedy assassination. The reason why Bush will 'do anything" is because his hands have as much of Kennedy's blood on them as do Nixon's, Hunt's, Sturgis's, Felix Rodriguez's and Gerald Ford's. This White House gang fears that if the public ever realizes how they shot their way into power it could set off a spark that would destroy their fragile fraud and land them in jail. Other famous Watergate members of the CIA invasion that Bush recruited were Frank Sturgis, E. Howard Hunt, Bernard Barker and Rafael Quintero. Quintero has said publicly that if he ever told what he knew about Dallas and the Bay of Pigs, "It would be the biggest scandal ever to rock the nation." In 1959, Vice President Nixon was flying all over the world, acting just like presidential material. It was an easy race for Nixon. Congressman Jerry Ford was doing a great job fundraising for Nixon, as was George Bush. The rich loved Nixon. The media picked up every bone Nixon tossed out to them. The biggest problem was that Nixon was afraid to speak openly of his plan to invade Cuba. The plan was a secret. No sense in alerting Cuba to the coming invasion. But Kennedy was taking a harder line on Cuba than Nixon, because Kennedy was not aware of the corporate/CIA planned invasion. Nixon lost the 1960 race by the smallest margin in history. At first Bush, Nixon, Cabel and Hunt decided to just go ahead with the invasion, without informing President Kennedy. Then, at the last second, at 4 a.m., just two hours before the invasion was set to go, General Cabel called JFK and asked for permission to provide U.S. air cover for the CIA invasion. Kennedy said no. Bush, Nixon and Hunt blamed Cabel for asking Kennedy and blamed Kennedy for saying no. They were livid with anger. Nixon's corporate sponsors ordered JFK to make any deal necessary to recover the 1100 CIA agents imprisoned in Cuba. JFK did. Once the CIA had its well-trained Cubans back, they decided to continue the invasion of Cuba just as soon as they could get rid of that S.O.B. Kennedy. The 1964 election was fast approaching. Nixon was running against Kennedy again. Bush, Ford and Nixon knew that they had to get rid of JFK now, or else the Kennedy clan, with Robert and Ted in the wings, could control the White House until 1984. They decided not to wait until '84 to get back in the White House. The Cuban teams of "shooters" began following Kennedy from city to city looking for a window of opportunity to shoot from. They came close in Chicago, but couldn't get the cooperation of Mayor Daley. But in Dallas they had an ace. The mayor was the brother of General Cabel, whom the CIA blamed for the failure of the invasion. The general prevailed on his brother, Earl, and the motorcade was changed to pass the grassy knoll at 7 m.p.h. Hunt and Sturgis shot JFK from the grassy knoll. They were arrested, photographed and seen by 15 witnesses. But the media turned a blind eye to the photos, and for 25 years the world has been searching for the truth. On the day JFK was murdered, Nixon, Hunt and some of the Watergate crew were photographed in Dallas, as were a group of Cubans, one holding an umbrella up, like a signal, next to the President's limo just as Kennedy was shot. The Cubans can be seen holding up the signal umbrella in the Zapruder film and dozens of stills taken during the assassination. After the murder they can be seen calmly walking away. Nixon denied he was in Dallas that day, but new photos and stories prove he was there. Nixon claimed to the FBI he couldn't remember where he was when JFK was killed. (Source: FBI memo, Feb. 23, 1964, published in Coup d'etat in America, Weberman & Canfield). Bush, too, claims he can't remember where he was. Jack Anderson did a TV special in 1988 proving beyond any shadow of doubt that two of the tramps arrested in Dallas behind the grassy knoll were Hunt and Sturgis. After the murder, former Vice President Nixon asked President Lyndon Johnson to appoint Nixon's friend, former FBI agent Jerry Ford, to run the Warren Commission. Nixon also asked LBJ to appoint Nixon's long-time supporter, Judge Earl Warren, to head the Commission. LBJ agreed. Ford interviewed all the witnesses and decided which ones would be heard and which ones eliminated. It is no coincidence that Nixon selected Ford as his Vice President after Spiro Agnew was ousted. When Nixon himself got busted in the Watergate scandal, Earl Warren offered to set up another special commission if it would help get him out of trouble again. Ford, of course, pardoned Nixon for the Watergate burglary but Nixon is still not out of the woods. There are 4000 hours of Watergate tape. On the June 23, 1972, discussions with John Ehrlichman and Haldeman there is clear evidence that Nixon is openly "confessing" to hiring Hunt to kill JFK. That is why the Watergate "investigation" went into secret session after Congress heard some of the tapes. This is why only 12 hours of 4000 hours have been released to the public. Did Congress realize that Nixon and Bush had openly discussed killing JFK for stopping the air cover for the Bay of Pigs invasion of Cuba? Remember, Nixon taped virtually every discussion he had with anyone in his inner circle, including Bush, in order to blackmail people later. There is a photo of Bush reporting to Nixon in the White House in 1968. It will be interesting to see what they were talking about on that day, when the full 4000 hours are finally released. The key to unlocking the secrets behind the 1963 murder of JFK is hidden in the 3988 hours of unreleased White House tapes. Bush was in Dallas the day Reagan was shot. (Source: George Bush, F. Green, 1988.) That must have given Bush a flashback to November 22,1963. In late November 1959, James Noel, CIA station chief in Havana, met with his closest collaborator to analyze the evolution of the political situation in Cuba. He had received instructions from Colonel King to prepare this analysis. His years with the Agency had taught him that when his boss personally asked for a report, big issues were involved and since nobody could swim against the current, he took great care. Noel believed that there were still individuals in the Cuban government that could be won over to the cause of the United States; that everything had not ended with the capture of Huber Matos and his associates; and that men such as Sori Marin had definite influence. However, he knew he should be cautious when offering his opinions, since an error could cost him his career. Therefore he adopted a dual position, giving King the report that he wanted to hear, while at the same time - with his pawns - continuing to play the game. The document that the CIA specialists drafted concluded: "Fidel Castro, under the influence of his closest collaborators, particularly his brother Raul and Che Guevara, has been converted to communism. Cuba is preparing to export its revolution to other countries of the hemisphere and spread the war against capitalism." With these words, they pronounced a death sentence on the Cuban Revolution. Days later, on December 11, Colonel King wrote a confidential memorandum to the head of the CIA which affirmed that in Cuba there existed a "far-left dictatorship, which if allowed to remain will encourage similar actions against U.S. holdings in other Latin American countries." King recommended various actions to solve the Cuban problem, one of which was to consider the elimination of Fidel Castro. He affirmed that none of the other Cuban leaders "have the same mesmeric appeal to the masses. Many informed people believe that the disappearance of Fidel would greatly accelerate the fall of the present government ." CIA Director Allen Dulles passed on King's memorandum to the NSC a few days later, and it approved the suggestion to form a working group in the Agency which, within a short period of time, could come up with "alternative solutions to the Cuban problem." Thus "Operation 40" was born, taking its name from that of the Special Group formed by the NSC to follow the Cuban case. The group was presided over by Richard Nixon and included Admiral Arleigh Burke, Livingston Merchant of the State Department, National Security Adviser Gordon Gray, and Allen Dulles of the CIA. Tracy Barnes functioned as head of the Cuban Task Force. He called a meeting on January 18, 1960, in his office in Quarters Eyes, near the Lincoln Memorial in Washington, which the navy had lent while new buildings were being constructed in Langley. Those who gathered there included the eccentric Howard Hunt, future head of the Watergate team and a writer of crime novels; the egocentric Frank Bender, a friend of Trujillo; Jack Esterline, who had come straight from Venezuela where he directed a CIA group; psychological warfare expert David A. Phillips, and others. The team responsible for the plans to overthrow the government of Jacobo Arbenz in Guatemala in 1954 was reconstituted, and in the minds of all its members this would be a rerun of the same plan. Barnes talked at length of the goals to be achieved. He explained that Vice-President Richard Nixon was the Cuban "case officer," and had assembled an important group of businessmen headed by George Bush [Snr.] and Jack Crichton, both Texas oilmen, to gather the necessary funds for the operation. Nixon was a protégé of Bush's father Preston, who in 1946 had supported Nixon's bid for congress. In fact, Preston Bush was the campaign strategist who brought Eisenhower and Nixon to the presidency of the United States. With such patrons, Barnes was certain that failure was impossible. They set to work immediately. They had to come up with a plan to destabilize the Cuban government and extinguish the expectations of social justice which had been ignited in the hemisphere. They created several teams with specific goals and concrete short- and medium-term plans. They assumed that the Cuban Revolution could not resist a combined assault of psychological warfare, diplomatic and economic pressures and clandestine activity, all of this backed up by a political structure made up of men in exile. When the time came, these men would declare themselves a rebel government which the United States and its allies could publicly recognize and assist. There were several problems, however. The main one was the deeply rooted support for Fidel Castro among the Cuban population. Therefore, from the very beginning, the physical elimination of the Cuban leader was considered one of the CIA's highest priorities. There was also the fact that Cuba, being an island, had no borders from which invasions could be organized and directed. The task force analyzed this problem in detail, and finally proposed a strategy of general uprising, which consisted in stirring up the whole Cuban population in order to legitimize a military intervention. Two key elements in the plan were the organization of a "responsible opposition in exile" and the infiltration of several dozen agents into the island, properly trained to deliver the mortal blow. In 1959, a young officer and businessman from Texas received directions to cooperate in funding the nascent anti-Castro groups that the CIA decided to create, but it wasn't until 1960 that he was assigned a more specific and overt mission: to guarantee the security of the process of recruiting Cubans to form an invasion brigade, a key aspect within the grand CIA operation to destroy the Cuban Revolution. The CIA Texan quickly took a liking to the Cuban assigned to him for his new mission. The system of work, although intense, was simple. Féliz Rodríguez Mendigutía, "El Gato," would propose a candidate to him, who would then be checked out, both in the Agency and among the Miami groups, and finally, the Texan would give the go-ahead. In that period, Félix Rodríguez already knew quite a few Cubans, like Jorge Mas Canosa (subsequently the leader of various counterrevolutionary organizations and then president of the Cuban-American National Foundation) and had confirmed his loyalty to "the cause" and to the Americans. For that reason he was among the first to be proposed. He passed through the process satisfactorily, and in a meeting in the city of Miami, which the Texan liked to make as formal as possible, Jorge Mas Canosa officially became an agent of the U.S. Central Intelligence Agency. Jorge Mas didn't know how to thank Félix for what he had done for him. From that moment he was constantly grateful to him and, at the same time, obedient to his every petition. But Jorge Mas was far from imagining the significance of this recruitment on the rest of his life. The significance rested on the fact that that Texan officer who undertook his recruitment process, approved it and then notified him at that meeting, was none other than George Herbert Walker Bush, the same man who, later, between 1989 and 1992, was the 41st president of the United States. Various sources coincide on the foregoing. Paul Kangas, a Californian private investigator, published an article containing part of his investigations in The Realist in 1990, in which he affirms that a newly discovered FBI document places Bush as working with the now famous CIA agent Félix Rodríguez on the recruitment of ultra-right wing exiled Cubans for the invasion of Cuba. For his part, in his "Report on a Censored Project," Dr. Carl Jensen of Sonoma State College states: "There is a record in the files of Rodríguez and others involved in the Bay of Pigs invasion, which expounds the role of Bush: the truth is that Bush was a senior CIA official before working with Félix Rodríguez on the invasion of Cuba." "Traveling from Houston to Miami on a weekly basis, Bush, with Félix Rodríguez, spent 1960 and 1961 recruiting Cubans in Miami for the invasion." Other publications that have referred to the theme are The Nation magazine, whose August 13, 1988 edition reveals the finding of "a memorandum in that context addressed to FBI chief J. Edward Hoover and signed November 1963, which reads: Mr. George Bush of the CIA;" or the Common Cause magazine that, on March 4, 1990, affirmed: "The CIA put millionaire and agent George Bush in charge of recruiting exiled Cubans for the CIA?s invading army; Bush was working with another Texan oil magnate, Jack Crichton, who helped him in terms of the invasion." Without knowing it, Jorge Mas had become part of something far more complex than the planned mercenary invasion. The recent recruited CIA agent became one of the participants in what was originally known as Operation 40. Operation 40 was the first plan of covert operations generated by the CIA to destroy the Cuban Revolution and was drawn up in 1959 on the orders of the administration of President Ike Eisenhower. In his book Cuba, the CIA's Secret War, Divisional General (ret) Fabián Escalante Font, former head of the Cuban Counterintelligence Services, explained what occurred in the early 1960. "A few days later (end of 1959), Allen Dulles, chief of the CIA, presented to the King (Colonel, chief of the Western Hemisphere Division of the CIA) memorandum to the National Security Council, which approved the suggestion of forming a working group within the agency which, in the short term, would provide alternative solutions to the Cuban problem." The group, Escalante Font relates, was composed of Tracy Barnes as head, and officials Howard Hunt, Frank Bender, Jack Engler and David Atlee Phillips, among others. Those present had one common characteristic: all of them had participated in the fall of the Jacobo Arbenz government in Guatemala. General Escalante recounts in his book that, during the first meeting, Barnes spoke at length on the objectives to be achieved. He explained that Vice President Richard Nixon was the Cuban "case officer" and had met with an important group of businessmen headed by George Bush and Jack Crichton, both Texas oil magnates, to collect the necessary funding for the operation. In a 1986 edition of the Freedom Magazine U.S. journalist L.F. Prouty explains that Richard Nixon had long and close links with the Bush family dating back to 1946 when Nixon, responding to a petition by Preston Bush (George?s father) presented himself as a candidate for the U.S. Congress, financed by the old Bush. The group constituted within the CIA, states Escalante in his book, set up various teams in charge of organizing clandestine operations, psychological warfare actions and exerting economic and diplomatic pressure, which would put paid to the island government. This was compounded by the preparation of an elite group of Cuban agents who, after specialized training, would infiltrate Cuba and deal a mortal rearguard blow to the Revolution, which included the assassination of its principal leaders. Jorge Mas Canosa gave his recruiters a very positive impression and was immediately assigned to a special mission. "Now things are going to take off," he said enthusiastically. "He was sent to a U.S. Marines training camp close to the Mississippi River, where he was trained to participate in the Bay of Pigs invasion." But Jorge Mas, as stated, had been attached to a very special group, still within the preparations for the mercenary invasion. The group was composed of 160 men of total confidence and was headed by the traitor and likewise CIA agent Higinio Díaz Ane (Nino). In the abovementioned book, General Escalante explains: "These men were given the mission to attack the town of Baracoa, in the easternmost part of the island, in order to distract the revolutionary forces when the brigade landed at the Bay of Pigs." Once they had taken Baracoa, they were to head for the Guantánamo Naval Base and, simulating Cuban troops, organize a provocation by attacking the installation, thus facilitating a U.S. military response with a formal reason for intervening in the conflict created by the mercenary invasion. That plan was the secret mechanism that the CIA and the Pentagon had up their sleeve, and nobody, not even President Kennedy, knew of it. On the day of the invasion, the 160 "elite" agency men left in a boat for their destination but, on reaching Baracoa, fear at the movement of Cuban troops in the area won out over the sterling training they had received, and they confined themselves to continue navigating south of the island until they reached the westernmost extreme. From there, they headed for Puerto Rico, arriving there the same day. In Miami, as a joke, this action was christened "Skirting round Cuba." After the Bay of Pigs defeat in April 1961 the CIA recouped its men. It reiterated its confidence in them and assigned them new missions, maintaining the objectives that gave rise to Operation 40. "Along with another 207 agents, Mas went to Fort Benning, Georgia for basic U.S. army training and was selected to take a special intelligence, clandestine communication and propaganda course." In his extensive work published for the Esquire magazine in January 1993, Gaeton Fonzi affirms that in Fort Benning, Mas Canosa?s friends with whom he was most closely linked in complex covert operations were Félix Rodríguez and Luis Posada Carriles," the latter of whom became notorious for the sabotage of a Cubana Airline passenger plane in full flight over Barbados in 1976. "After Fort Benning," says the U.S. investigator, "there was some CIA connection in every move or action in Jorge Mas? career." Precisely because of the outstanding results obtained in Fort Benning, the Agency later assigned Mas Canosa to another delicate mission. On this occasion, he would have to move to an "ultra-secret" base located a little south of Fort Benning, to join what was known as the "New Orleans group." That group, which took its name from the location of the base on the outskirts of the southern U.S. city, was mainly composed of veterans from the Bay of Pigs and Fort Benning, although some agents of confidence like Antonio Veciana, recently arrived from the island and reportedly very close to Jorge Mas in that period, were incorporated. Their preparation was sui generis. The group took a course on the use of means and methods of combat of the Cuban army. The content of the mission was disclosed by General Escalante in his book: "Once again, the plot consisted of a self-provocation against the Yankee base (of Guantánamo), via the infiltration of a commando of 150 men who trained in an ultra-secret CIA base on the outskirts of the southern U.S. city of New Orleans." The mission was cancelled due to the occurrences that gave rise to the Missile Crisis in October 1962, which convinced the organizers of the inevitability of a direct military intervention by the U.S. army without the need of any pretext." After this new failure, Mas Canosa was full of rage and impotence and acknowledged to the U.S. writer Pat Jordan in an interview that, "the two men he most hated were Fidel Castro and John F. Kennedy." In the United States, the media has once again picked up on the relationship of the émigré Cubans who worked for the CIA with the assassination of President Kennedy in Dallas in 1963. During a long conversation with the investigator Gaeton Fonzi in Havana, we discovered a story that, given its content, it is worth reproducing. Fonzi is not just any common or garden investigator. He had devoted much of his life to working for various congressional committees, including those responsible for investigations into the covert activities of the CIA and the assassination of President John F. Kennedy. A few years ago, and after much effort, Fonzi managed to get a private interview with Antonio Veciana, the same old buddy of Jorge Mas in the "New Orleans group," where the two of them became close friends while fulfilling CIA missions. Veciana had been interrogated by the Grand Jury charged with investigating the assassination of President Kennedy, and years later, had had some drug-related problems; but he vehemently affirmed to Fonzi that these difficulties were nothing more than a "trap" set up by somebody. "I have a lot of information, but I am keeping that to myself because it is my life insurance," Veciana told Fonzi." Antonio Veciana Blanch was a public accountant who worked for the Cuban sugar magnate Julio Lobo. He rapidly opposed the Cuban Revolution and, in 1960 was recruited by the CIA in Havana. He received his initial training in an English Language Academy supervised by the U.S. embassy in the Cuban capital. In October 1961, after the failure of a plot he devised to assassination Prime Minister Fidel Castro with a bazooka during an event at the former Presidential Palace, Veciana fled Cuba. In the interview that he gave to Fonzi he related that, once in Miami, he was looked after by a CIA official who used the pseudonym of Maurice Bishop. Among other tasks, this "Bishop" ordered Veciana to promote the creation of the ALPHA 66 organization. "Bishop" had frequent contact with Veciana from 1962-1963 in the city of Dallas. Veciana recalled that, at one of those meetings in a public building, he saw Lee Harvey Oswald. Fonzi noted that various acts of disinformation were organized as part of the operation that cost the life of President Kennedy: one in Dallas, another in Miami and a third in Mexico City. The objective of the disinformation was to manufacture the image of a "revolutionary" Oswald, a "defender of the Cuban Revolution." Hence the ex-marine was filmed in acts of solidarity with Cuba, demonstrating in a very aggressive manner. But the most daring act of disinformation was effected in Mexico City. There, Lee Harvey Oswald turned up at the Cuban embassy to ask for an entry visa to the island. All of that was filmed from a surveillance post that the CIA had opposite the Cuban embassy, so that it would be documented. The strange thing is, as Veciana told Fonzi, in one of his contacts with "Bishop" in early 1963, the latter said that he knew that he (Veciana) had a cousin in Cuban Intelligence, who was located at the Cuban embassy in Mexico. "Bishop" stated that if it suited his cousin to work for them in a very specific action, he would pay him whatever he wanted. Veciana commented to Fonzi that he had never spoken of this cousin to "Bishop" and also, at that time, "Bishop" was assigned to the U.S. embassy in Mexico City and even went directly from the Mexican capital to some contacts in Dallas. In fact Veciana was the cousin of the wife of the then Cuban consul in Mexico City, Guillermo Ruiz, and in the days following the assassination of Kennedy, that woman was the victim of a recruitment attempt in the same city, with the clear proposition that, once in the United States, she would testify as to Oswald?s "complicity" with the Cuban secret services. Questioned by Fonzi as to the existence of renewed contacts with "Bishop" after the Dallas homicide, Veciana answered that there had been, particularly in 1971, when he received an order to leave for Bolivia and work in the U.S. embassy in that country, where he would appear as an official for the Agency for International Development (USAID) and should wait for a visit from a known person. Fonzi checked the USAID archives in Washington and found an application form to enter the USAID in the name of Antonio Veciana, handwritten in letters distinct from those of Veciana and unsigned. The "known person" who contacted him in Bolivia was "Bishop," at that time located in the U.S. embassy in Chile. "Bishop" immediately incorporated him into a team plotting an attempt on the life of President Fidel Castro, who was to visit the South American country. Fonzi told us that he interviewed Antonio Veciana again, but this time accompanied by a specialist with the aim of composing a photofit of "Maurice Bishop" so as to determine his real identity. Veciana gave a detailed description and the photofit was made. Fonzi spent weeks trying to identify the character, and one Sunday, suddenly received a call at home from a Republican senator for Pennsylvania for whom he was working at the time, and whom he had consulted on the identity of the man in the drawing. The senator assured him that the he was absolutely sure that the man using the pseudonym of Maurice Bishop was none other than David Atlee Phillips. He was a veteran CIA officer who was in Havana on a working visit in 1958 as a specialist in psychological warfare, participated in the creation of Operation 40 and later, as part of the same, organized the Radio Swann transmitter. With time, Phillips would become head of the Western Hemisphere Division of the Agency. However, at the end of 1993, in the documentary Case Closed, the former chief of Cuban Security, Divisional General (ret) Fabián Escalante, revealed a secret report from one of his agents, which spoke of a meeting between Antonio Veciana and David Phillips in a hotel in San Juan, Puerto Rico, in the early 70s. "Veciana told me," said the Cuban agent, "that he was a CIA agent and it was the CIA that assassinated Kennedy and that senior CIA officials including David Phillips, the official attending to him, were behind it all. Veciana never wanted to give me any details of that affirmation, but recently, I have been able to confirm it, because once when I was in a hotel with Veciana, I heard a conversation that he had with his officer, David Phillips, in which Veciana swore that he would never talk about what happened in Dallas in 1963." "I believe," Escalante affirmed, "that that is very important information because I have to say that, in 1973, when Antonio Veciana was liquidated by the CIA; in other words, when the CIA took him off their books, he received a compensation payment of $300,000." But there is more. According to Cuban State Security investigations disclosed by General Escalante in the abovementioned documentary, various witnesses quoted by the Warren Commission described two Cubans, one of them black, leaving the Daley Plaza Book Deposit in Dallas, a few minutes after the assassination was effected. In parallel, through secret information and public testimony (the statement by Marita Lorenz, ex-CIA agent to a congressional committee), Cuban Security knew that two days before the assassination various Cubans were in Dallas with weapons and telescopic sights, including Eladio del Valle and Herminio Díaz, two paid killers and expert sharpshooters linked to the Mafia and Batista politics. The physical characteristics of Del Valle and Herminio Díaz matched the descriptions that various witnesses gave to the Warren Commission of the two Cubans seen leaving the building seconds after the president had been assassinated. In order to fulfill the mission on which he was sent, Díaz had to infiltrate the island right in the capital via Monte Barreto in Miramar (where a number of hotels are currently going up) at a time when, because of an incident at the Guantánamo naval base, the Cuban army was on combat alert, and aerial and coastal vigilance was been reinforced to the maximum. In the eyes of experts, and the Cuban Security, the operation was a veritable suicide mission. The financial organizer and planner of such "a strange mission" was none other than Jorge Mas Canosa. But the history of the CIA?s links with its Cuban agents and the Kennedy assassination has not only been explored by Fonzi. Many other authors and investigators, and even the film studios that gave origin to the U.S. movies Executive Action and JFK, have covered the subject. "Among other members of the CIA recruited by George Bush for the (Bay of Pigs) invasion) were Frank Sturgis, Howard Hunt, Bernard Baker and Rafael Quintero. On the day that JFK was assassinated, Hunt and some of the subsequent Watergate team were photographed in Dallas, as well as a group of Cubans, one of them with an opened umbrella as a signal, alongside the president?s limousine, right where Kennedy was shot? Hunt and Sturgis fired on JFK from a grassy knoll. They were photographed and seen by 15 witnesses." "The reason why we robbed in Watergate was because (Richard) Nixon was interested in stopping the news leaks related to the photos of our role in the assassination of President John F. Kennedy." "If I was to tell what I know about Dallas and the Bay of Pigs, it would be the greatest scandal that has ever rocked to nation." Up to here are certain details of one of the existing theories on the above-mentioned event but, will the whole truth come out some day? Will Antonio Veciana, former member of the "New Orleans group," decide to reveal his "life insurance" or Rafael Quintero, to tell what he knows and thus, "rock the nation?" In 1976, when George H.W. Bush was CIA director, the U.S. government tolerated right-wing terrorist cells inside the United States and mostly looked the other way when these killers topped even Palestinian terrorists in spilling blood, including a lethal car bombing in Washington, D.C., according to newly obtained internal government documents. That car bombing on Sept. 21, 1976, on Washington’s Embassy Row, killed Chile’s former Foreign Minister Orlando Letelier and an American co-worker Ronni Moffitt, while wounding Moffitt’s husband. It soon became clear to the FBI and other federal investigators that the attack likely was a joint operation of DINA, the fearsome Chilean intelligence agency of military dictator Augusto Pinochet, and U.S.-based right-wing Cuban exiles. But Bush’s CIA steered attention away from the real assassins toward leftists who supposedly killed Letelier to create a martyr for their cause. Eventually, the CIA’s cover story collapsed and – during the Carter administration – at least some of the lower-level conspirators were prosecuted, though the full story was never told. Recently obtained internal FBI records and notes of a U.S. prosecutor involved in counter-terrorism cases make clear that the connections among Bush’s CIA, DINA and the Cuban Nationalist Movement (CNM) – which supplied the trigger men for the Letelier bombing – were closer than was understood at the time. DINA provided intelligence training for CNM terrorists who acted like a “sleeper cell” inside the United States; federal prosecutions of right-wing Cuban terrorists were routinely frustrated; and the CIA did all it could to cover for its anticommunist allies who were part of a broader international terror campaign called Operation Condor. Beginning in late 1975, Operation Condor -- named after Chile's national bird -- was a joint operation of right-wing South American military dictatorships, working closely with U.S.-based Cuban and other anticommunist extremists on cross-border assassinations of political dissidents as far away as Europe. Regarding the DINA-CNM alliance, Chile’s star assassin Michael Townley told FBI interrogators after his arrest in 1978 that Cuban exiles involved in the Letelier murder had received DINA training, including CNM member Virgilio Paz, who “attended a one-month ‘quickie’ intelligence course sponsored by DINA,” the internal FBI report said. Townley, a fiercely anticommunist American expatriate who had emerged as DINA’s chief overseas assassin, told the FBI that Paz’s training was personally approved by DINA’s director, Col. Manuel Contreras, who – the CIA later acknowledged – was an asset of the U.S. spy agency. Paz lived at Townley’s residence during his three-month stay in Chile and DINA paid for Paz’s frequent calls back home to the United States, Townley said, recalling that Paz left Chile close to his son Brian’s birthday on June 6, 1976. About a month later, Colonel Pedro Espinoza, DINA’s director of operations, summoned Townley to a meeting near St. Georges School in suburban Santiago. Townley recalled driving his DINA-supplied Fiat 125 sedan to the early-morning meeting and taking a thermos of coffee. When I tracked down former Assistant U.S. Attorney Jerry Sanford, who was assigned to the Cuban terrorism cases in the mid-1970s, he still sounded frustrated at the lack of support he got from Washington to pursue these killers who inflicted death both inside and outside the United States. Ironically, the CIA’s analytical division reached a similar, troubling conclusion in an annual report entitled “International Terrorism in 1976” that was published in July 1977, after CIA Director Bush had left office. “Cuban exile groups operating under the aegis of a new alliance called the Coordination of United Revolutionary Organizations [CORU] were particularly active during the second half of the year,” the CIA reported. “They were responsible for no less than 17 acts of international terrorism (at least three of which took place in the US). In other words, Cuban exiles based in the United States – during George H.W. Bush’s year in charge of the CIA – outpaced Palestinian terrorists in terms of a total body count.